It’s Party Time! 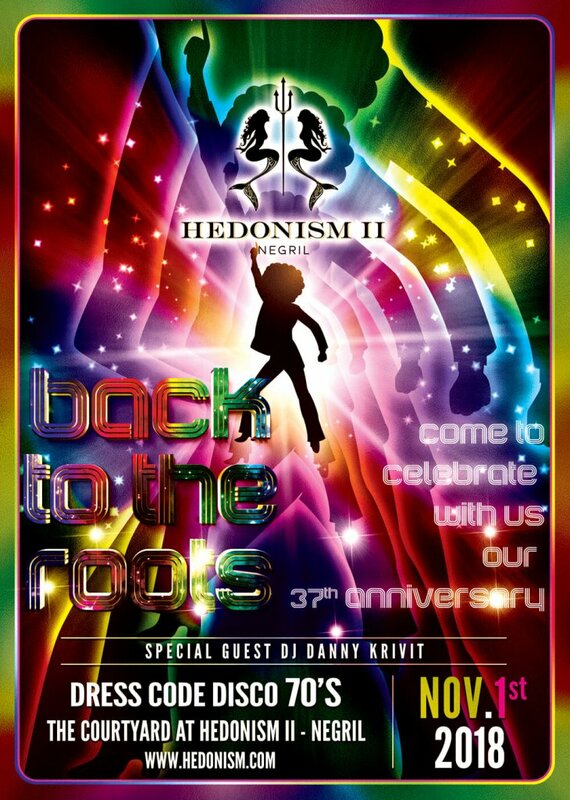 Hedonism II will be celebrating our 37th Anniversary on November 1st, 2018. Get Down Tonight! Bell-bottoms, Fringe, Paisley and Neon Colors! Do The Hustle – and party until the wee hours with special guest DJ Danny Krivit. It’s going to be a GROOVY time.